In the first part of our series on Rules, we looked at 3 Zone Defense. If you have not read that part yet, please click here. 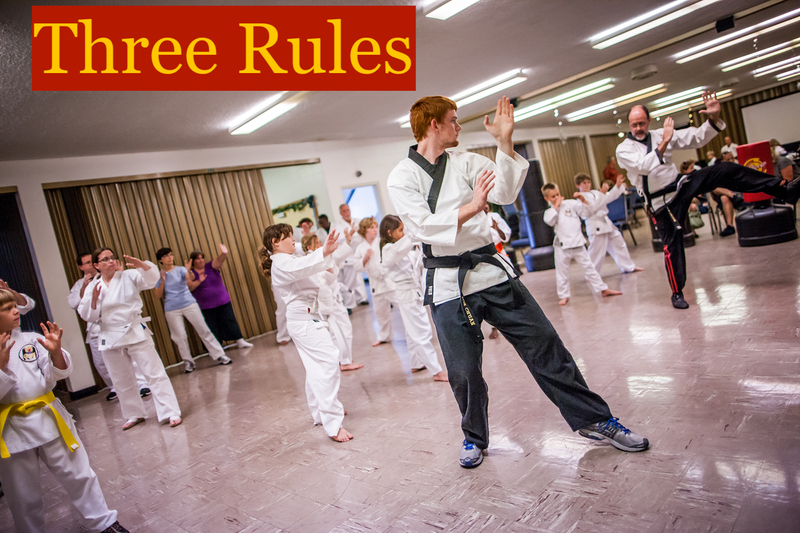 We teach basic situational awareness in Grace Martial Arts classes. It’s important that we be aware of our situation and surroundings every moment we are awake. Awareness plays an important role in personal safety. The first aware is “time.” The time of day can impact our safety. If we’re outside in the early evening, we know that nightfall is near. Nighttime has its own challenges because of the difficulty of seeing our surroundings. If we have difficulty seeing, we may have difficulty defending ourselves against an attack. The second aware is “location.” Where we are at a particular time of day can also impact our safety. While we may feel safe in our front yard in the middle of the day, we may experience a different feeling if we find ourselves in an unfamiliar part of a city. The third aware is “distance.” How far we are from someone or something can impact our safety. If we are 30 feet from a busy intersection, we will feel safe from being hit by a car. If we are three feet from a busy intersection, we may not feel fafe from being hit by a car. We may feel safe walking in a shopping center with many people near us, but not feel safe walking on a country road with only a couple of people near us. Time, Location and Distance can also combine to impact our safety. We may feel safe getting cash from an ATM machine at our bank on a Monday at 11am. However, we may not feel safe getting cash from an ATM machine at our bank on a Monday at 11pm. Time, Location and Distance are an important part of “situational awareness” and play a vital role in our safety.